The new footings replace the old wooden shims that originally held up the mud sills under the floor. 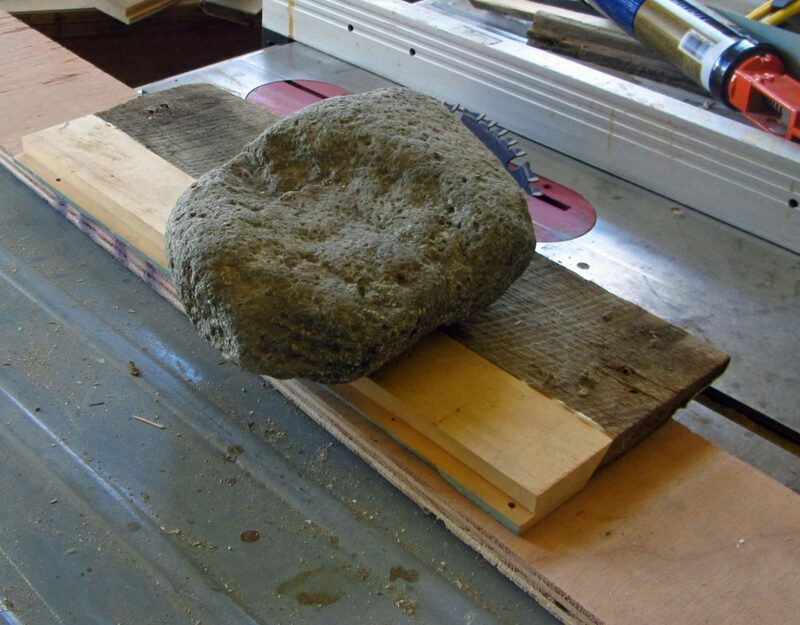 The old shims served okay for the last 150 years but they were really a makeshift solution that should never have been. 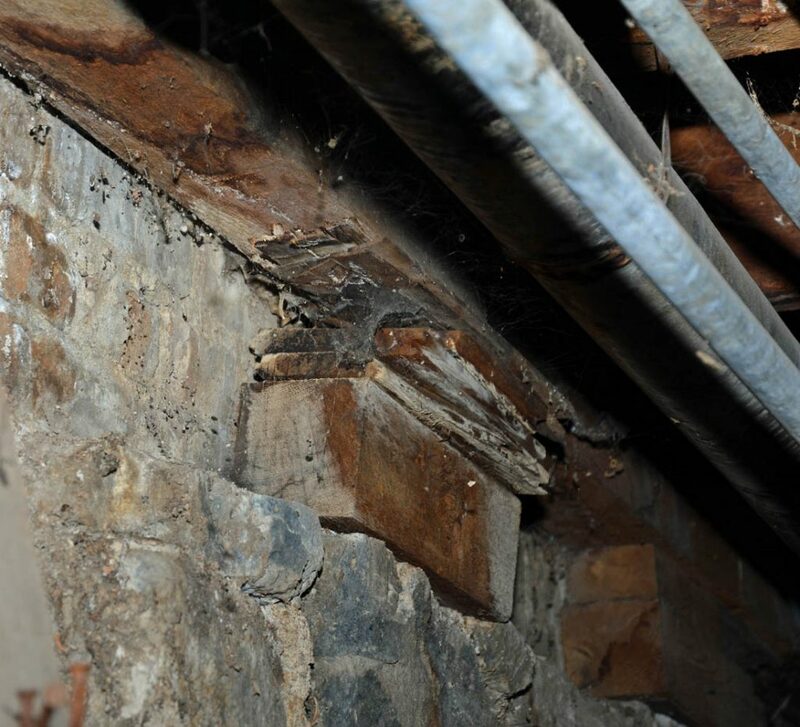 As you can see in this view from under the floor, the mud sill is about 8″ above the top of the stone foundation wall and the gap was filled with a length of 4″ x 4″ and several scraps of pine flooring hammered into place. This has been replaced with rebar and concrete. The new concrete replaces all the old shims and supports the mud sill directly. 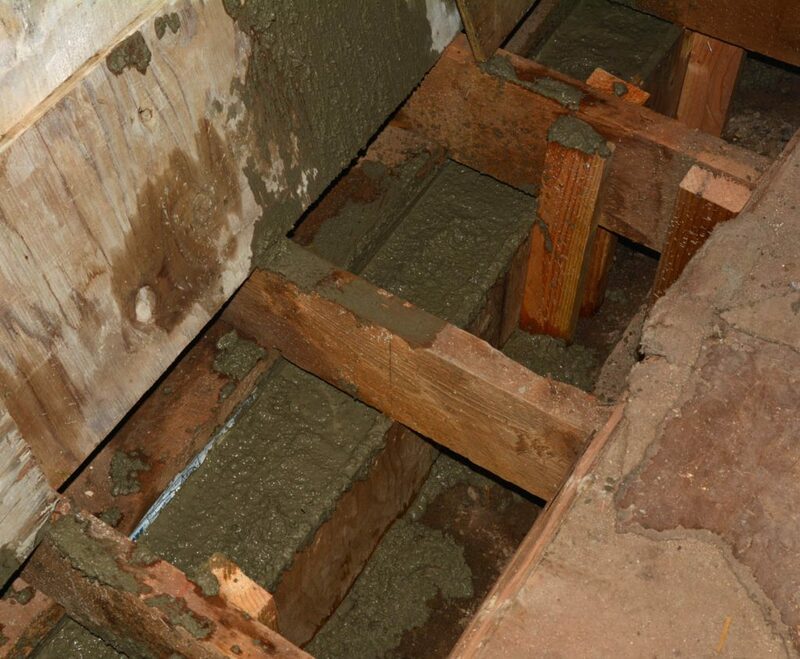 This is a top view showing how the floor joists rest on the mud sill and new concrete beam. 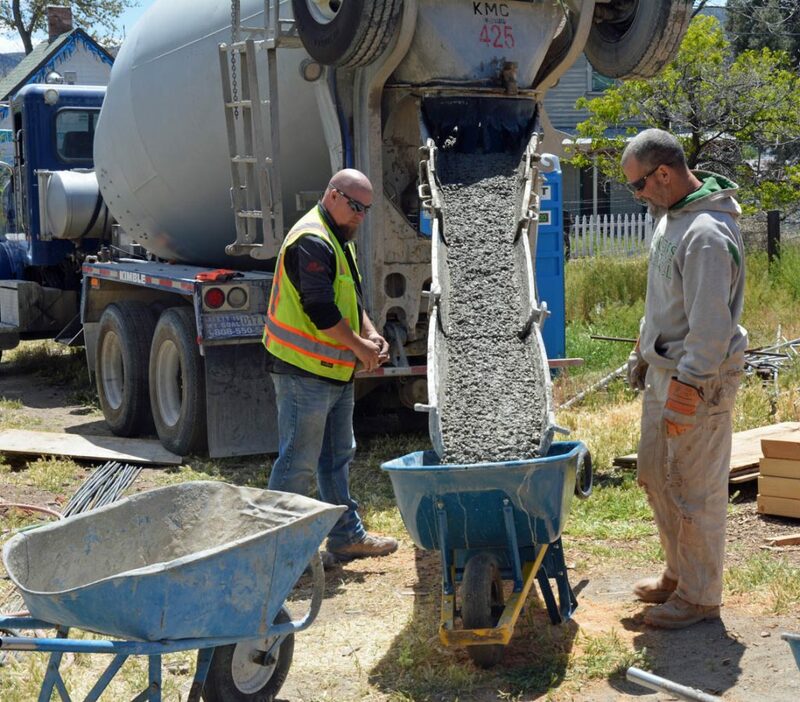 The next concrete addition will be sprayed on concrete on the inside of the north and south walls. The prep work for this will be building a grid of rebar and bolting it to the interior of the walls. The concrete will be sprayed over this creating a rigid wall that supports the existing brick wall if and when the big one hits. Now that the contractors temporarily own the interior of the hotel, my wife and I have focused our attentions on the wood front of the post office structure next door to the hotel. The idea is to do only conservation to this structure to retain the ghost town feel but while prepping for paint, it’s apparent that some of the wood siding is in need of help. 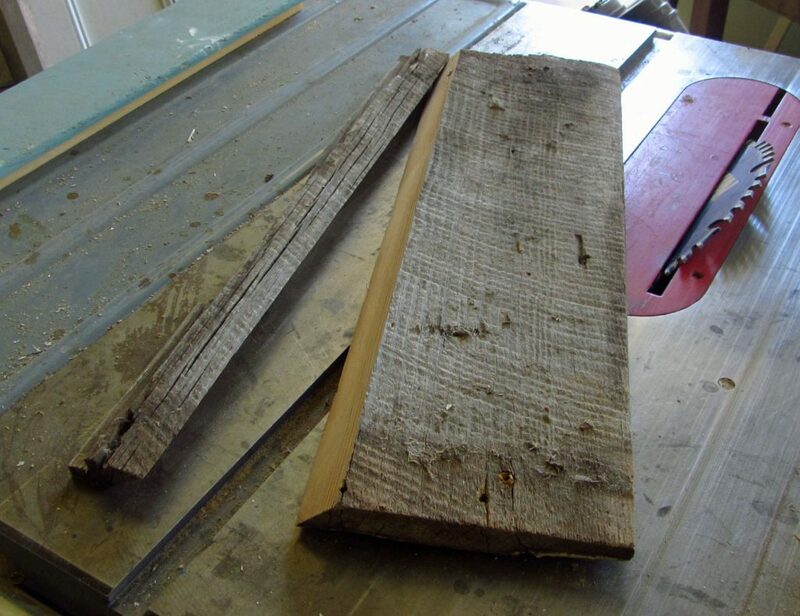 In this case, the second board from the top is missing a chunk at the bottom edge exposing the interior of the wall. This is what it’s supposed to look like. 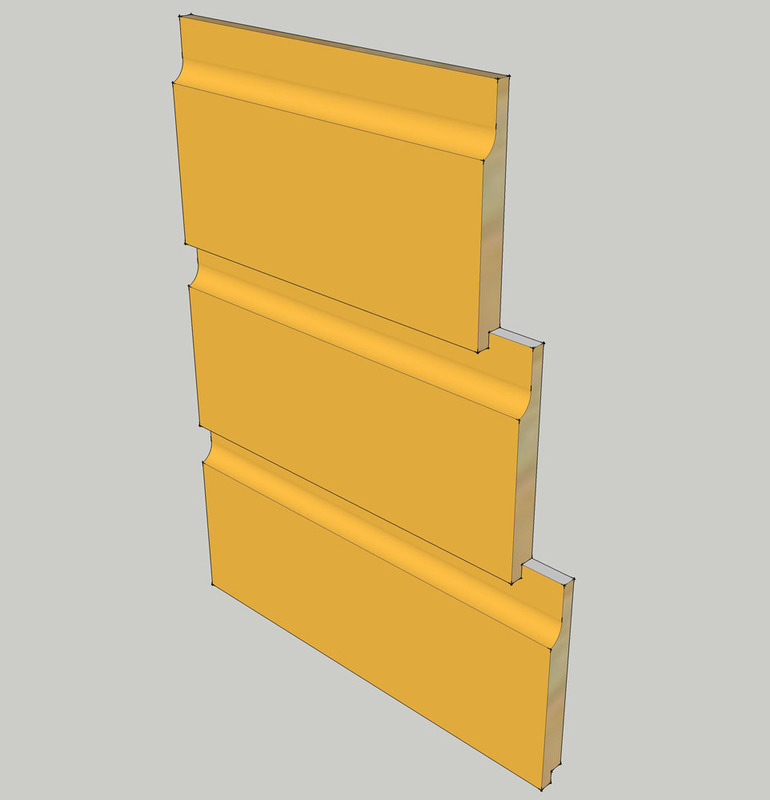 You will note that the top of the siding is tapered and the bottom is notched to mate up with the tapered board below. 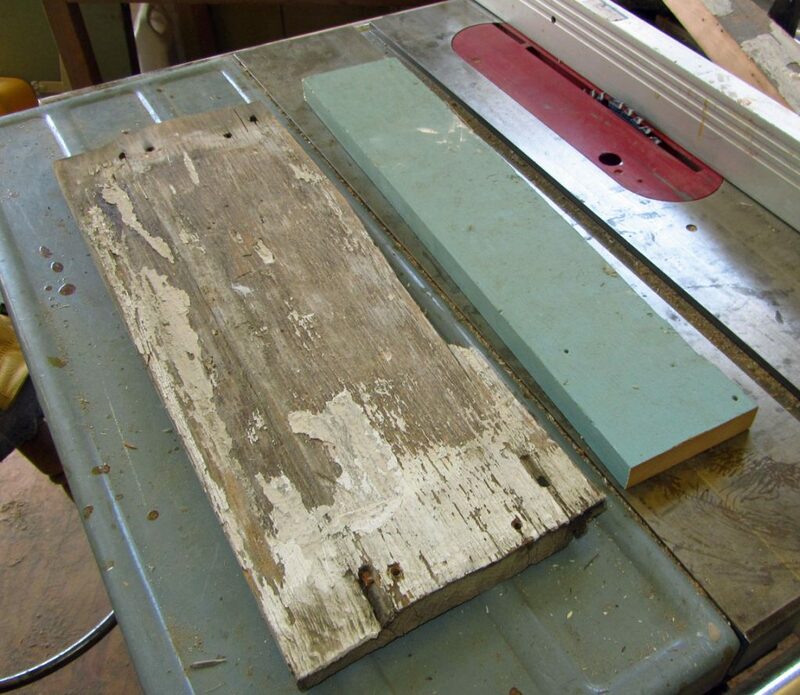 Since finding vintage siding is difficult, I’ve tried my hand at repairing the damaged boards as best I can. 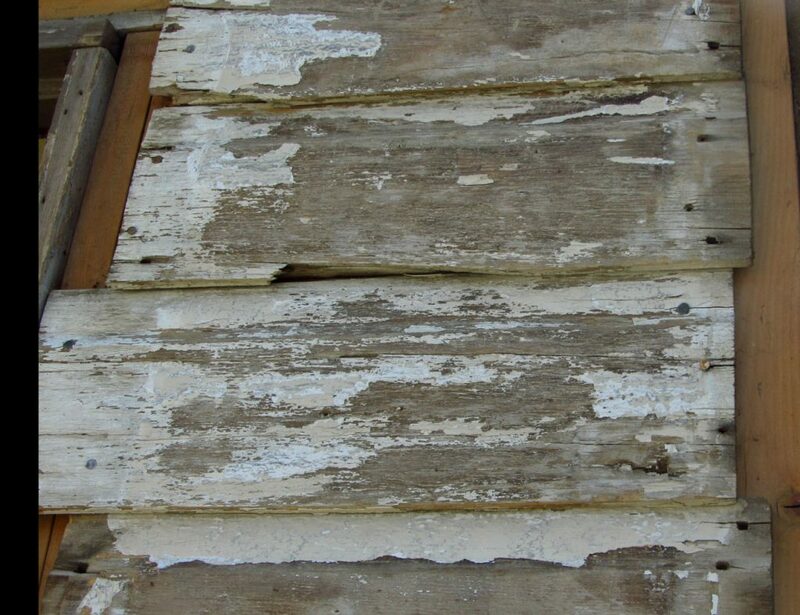 Here we have the original damaged siding along side a salvaged board which I will splice on. You can see the damaged edge of the siding that I intend to replace. 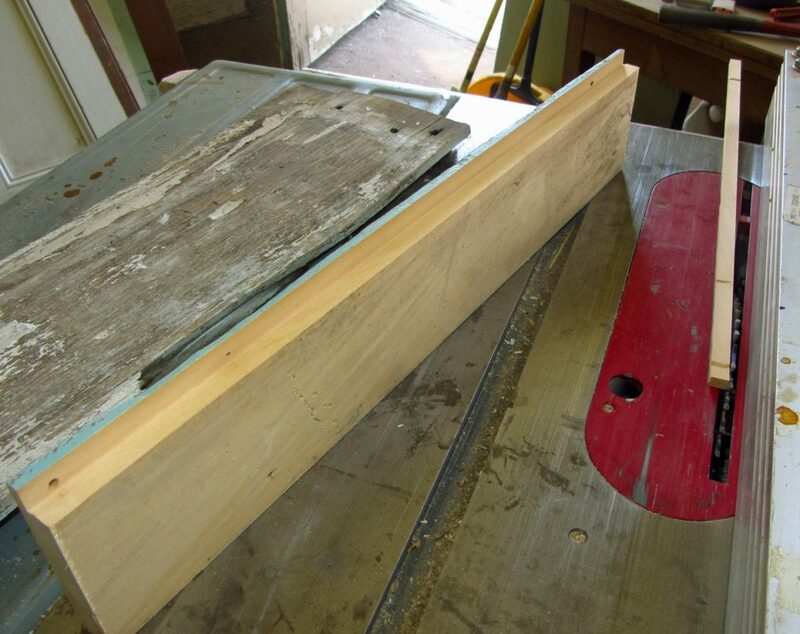 The first step is to cut the notch onto the salvaged board so that it replicates the damaged edge of the siding. Then, I cut off the crusty bit of the old siding. I’ve shown this from the back so you can see that I’ve beveled the cut to provide a larger gluing surface. The bevel also stops rain water from intruding into the siding. The replacement piece is then cut with a matching bevel and glued to the siding with construction adhesive. Finally the assembly is held together with the world’s oldest clamping device until the adhesive is dry. 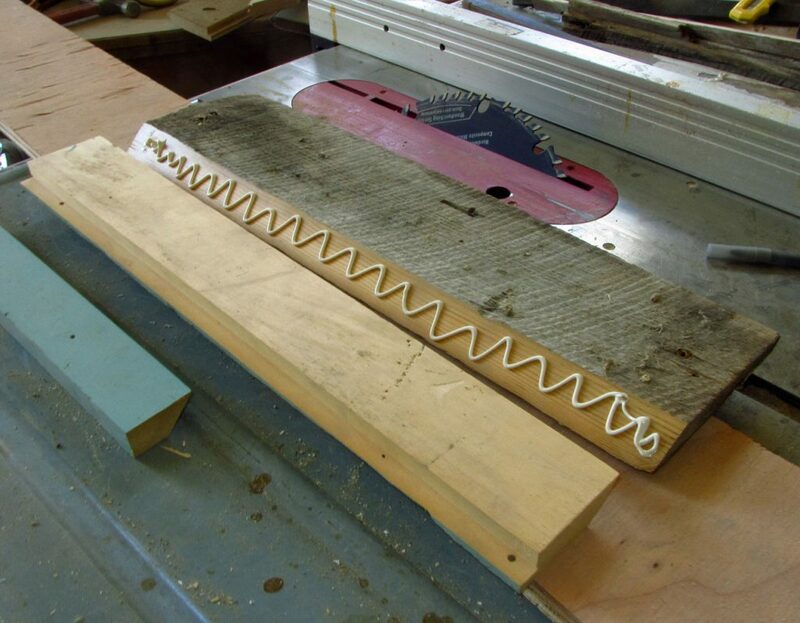 Now, if that seems like a lot of trouble, it is and perhaps it’s a good reason to purchase a router table so that I can make my own siding from scratch.